Life is about the little things that make a big difference. The same can be applied to email marketing. Those couple of little words that make up a subject line are major factors when it comes to whether your recipient will make an effort and open your message or hit the spam button. Sure, the email body has to strike the right chord with your audience too, but its quality won’t be of much help if your subject line, that is the first thing your recipients see, is crappy. 47% of email recipients decide to open an email only because of its subject line. On the other hand, 70% of them conclude that an email isn’t worth opening based on its subject line. It’s clear that crafting catchy subject lines is a complex task as you can easily make a slip and go from buzzword to buzzkill and destroy an otherwise decent email with those few words and symbols. Spam filters are getting more sophisticated, even as we speak, but once you’ve been greenlighted by the software, there’s an even bigger obstacle to overcome – your prospects. Certain words in subject lines are tolerable although they’re not exactly the best option, but some can definitely be a kiss of death for your open rates. Autoklose, our all-around sales automation platform, comes with a number of pre-composed email template sequences paired with high-converting subject lines which are the result of our long experience and extensive testing. We’ve decided to share what we found out with you, and help you formulate irresistible subject lines that your prospects won’t be able to ignore. Personalization has become big these days. Your customers want to receive content that has been tailored to fit their needs and interests. Amazon, Google, and other industry leaders have taken personalization to the next level, and now we have similar and complementary products suggested to us when we make a purchase, and even our daily news feed is designed to serve only the topics and news that we’ve shown an interest in. Your email subject lines are no different, and they need to be highly personalized. While Autolose will take care about using your prospects’ personal information from your database and include their name, company, city and other details, what you can do is use pronouns such as you and yours. To cut the long story short, emails with personalized subject lines are 22.2% more likely to be opened. 3 in 5 people check their email on a mobile device, according to the latest surveys. This means that an elaborate subject line that doesn’t fit into a smartphone screen in its entirety. Research has shown that subject lines that aren’t longer than 10 characters scored a 58% open rate. Of course, it’s not always possible to condense your message into 10 characters, but you get the point. If your subject lines are longer than 50 characters, there’s a greater chance that you’ll be cut off, as on many mobile devices they won’t be properly displ-. Apart from these technical limitations, you should also take into consideration that your prospects are swamped with emails every day. Stats say that the number of business emails sent and received per day will hit 128.8 by 2019. When it comes to consumer emails, the numbers are only slightly lower – 117.7 per user. This email overload means that people want to be able to quickly scan their inbox and see what these messages are all about. Tips for producing great content is a perfect example of a short and straightforward email subject line which spells out exactly what the recipient can expect to find if they open the email. Psychologically speaking, people love lists as the brain processes them more easily, and they promise a more digestible read. When it comes to discounts and other promises expressed through percents, you should also be aware that people are suspicious when they see that you’re promising an 80% discount, so hold your horses and opt for 10-30% off. Although some marketers claim that asking questions won’t make your subject lines better and more clickable, it’s only the case with spammy, promotional examples. If you manage to naturally incorporate a question that will serve as a good introduction to your email, make sure to do so. Such a linguistic structure tends to seem like a dialogue and it’s more likely to sound appealing. Feeling tense and tired? is a compellingly engaging subject line for a spa treatment offer. When we’re talking about question marks, it’s worth noting that other punctuation symbols can be useful, but you need to be careful with them. Exclamation marks have been so extensively used that they lost their edge. This doesn’t mean that you can’t use them, but don’t exaggerate, and stick to one per subject line, as using more than one will look like you’re yelling at your prospect. Emojis can be very efficient additions to your email subject lines, that’s for sure. Even businesspeople positively respond to an occasional emoji in a professional email. But, if you get carried away will make your subject lines a bit too cartoonish and spammy. So, follow that “all things in moderation” proverb, and avoid using an emoji just for the sake of it. Hashtags in email subject lines are absolutely off-limits. Avoid superlatives in subject lines, at all costs. Yes, it’s ok that you want to convince your prospect that your product or service is of superior quality, but you’ll admit that using phrases such as “the best”, “the most incredible”, or “absolutely amazing” sounds a bit like you’re blowing your own horn. Prospects don’t like flashy language, bragging, and exaggerating, so try not to oversell yourself. This is crucial for maintaining a high open rate. People don’t like when they’re receiving automated emails, as they remind them of spam. 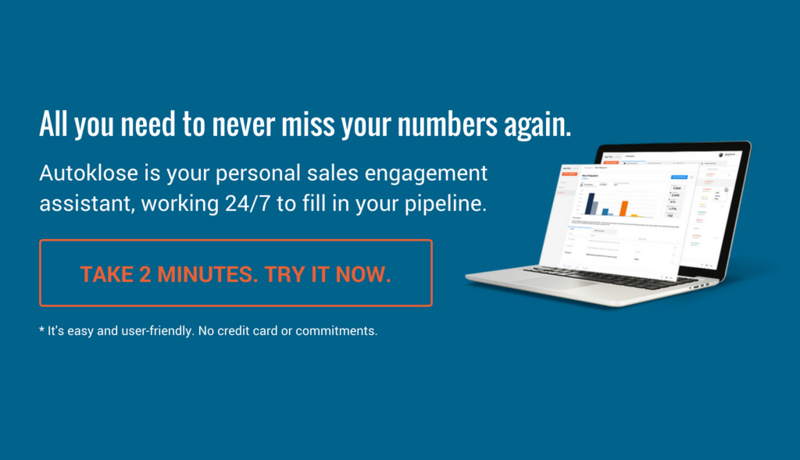 Autoklose allows you to set up your own personal address, which means that your prospects will receive emails with your address and name next to subject lines. Needless to say, an actual email address is much more credible and trustworthy than the generic “noreply” phrase. Tricking your prospects into opening your emails by inserting an artificial Re: in your subject lines isn’t a good idea, because, you know, they’ll eventually find out (one minute later) and you’ll come off as a deceitful spammer. Fwd: is a similar abbreviation that you should use only when you’re really forwarding a relevant mail. Don’t ambush your prospects and set traps, because they’ll click on the unsubscribe button. While controversial or shocking subject lines might appeal to certain audiences, you should use them extremely carefully because this practice is like treading on thin ice. It can’t be denied that these subject lines will boost your open rates, but in many cases, they can alienate your prospects. Insulting or vulgar references are an absolute no-no in business emails, but younger audiences get a kick out of such humor. Nevertheless, you should REALLY know your audience and understand their mentality if you’re toying with the idea of surprising them with some saucy or racy jokes in subject emails. But bear in mind, that no matter how popular they can make your email campaign, you’ll most certainly step on somebody’s toes and lose a few customers in the process.